A man of many talents, Antonio Banderas is best known for his suave Hispanic charm. From his early collaborations with acclaimed Spanish filmmaker Pedro Almodóvar, Banderas then broke into Hollywood in the early 1990s despite at first having to learn his lines phonetically. After a string of small but strong performances in the likes of Philadelphia and Interview With A Vampire, he began to be cast in starring roles that demonstrated his incredible skill-set and made him one of the most unique actors in the world. The gripping, real-life survival story of the Chilean mining disaster sees him in his latest role playing “Super Mario”, the leading face of the trapped men in upcoming powerful drama The 33 – coming to cinemas January 29. To celebrate the release, we take a look at some of Antonio Banderas’ best roles. When assassin Robert Rath (Sylvester Stallone) is beaten to a target by younger hitman Miguel Bain (Banderas), he’s determined to complete one last job before retiring. When he finds that Miguel is also on the trial of his next target, a ruthless race begins with both parties prepared to go to the edge to succeed. 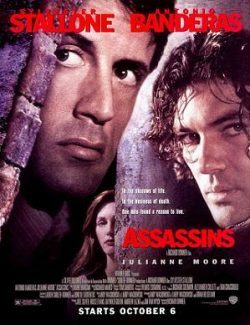 A non-stop game of cat and mouse, with enough twists to keep thriller fans happy, Assassins is an early example of Banderas’s action chops – seen since in the likes of Spy Kids and The Expendables 3. 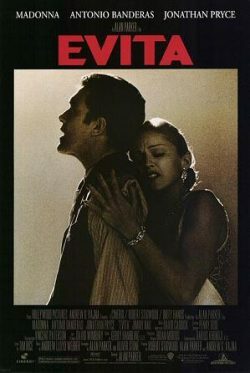 Based on the 1978 musical, Evita saw Banderas surprise audiences with his impressive vocal skills playing narrator Ché. Following the news of the death of Argentinian First Lady Eva Perón (Madonna), Ché assumes multiple guises to showcase her rise from an illegitimate child of the lower classes to the Spiritual Leader of Argentina using both inspirational and much-criticised methods. The film demonstrated Banderas’ extraordinary diversity and earned the actor his first Golden Globe nomination. When and aged Zorro (Antony Hopkins) escapes from prison, his main aim is to seek revenge on a corrupt governor who killed his wife, stole his baby daughter and sent him to jail 20 years previously. 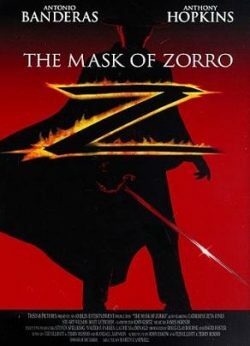 Running into Alejandro Murrieta (Banderas), who as a boy helped the masked swordsman in his younger days, Zorro sees this as fate and vows to train the thief as the next Zorro whilst enlisting him to help in his vendetta. The family favourite received positive reviews and cemented Banderas in the A-list. 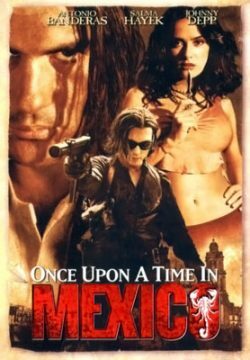 The third film in director Robert Rodriguez’ ‘Mexico’ trilogy, Once Upon A Time In Mexico sees Banderas reprising his role as hitman El Mariachi in the successful series. Recruited by a CIA agent (Johnny Depp), he is faced with juggling a mission to kill a Mexican drug lord whilst also hell-bent on seeking revenge of his own. Once again showing his ability to portray violence with convincing emotions, Banderas was celebrated in the cult favourite. Based on the miraculous rescue mission that gripped the world, Banderas is the heart of the story as the dynamic leader of the trapped Chilean miners in The 33. Dubbed “Super Mario” by the media, his character took responsibility for keeping the miners hopeful for their rescue, whilst ensuring that rations lasted as long as possible. The film looks at the untold stories of the men underground and their families demanding action, and Banderas expertly handles the tense action sequence and inspirational human story.